Moving can be one of the most stressful and time-consuming task of your life. Those who can afford it prefer to hire a removals company to do the task of packing and transferring of their belongings. A removals company is basically there to unburden you of these tasks and keep you stress-free as much as possible. However, not all removals companies are professionals. You need to be selective in choosing it and consider several factors. One of these considerations is the TRUST factor. Will you be able to totally trust and depend on this removals company to handle and transfer his valuables? What if some of the things get broken during the process? What if it is something that holds sentimental value for you and your family? Hiring a professional removals company could be as easy as opening the newspaper and getting the cheapest offer. However, it is not as simple and easy as that. Sometimes there are cases when you hire the cheapest removals company and then end up paying more. If you are planning on moving out, you could consider asking a friend or a close family friend if they know of a reliable removals company. Asking for referrals is better than picking them at random on newspapers. Moreover, a friend that has recommended it means that he has first hand experience with this firm and can be trusted. 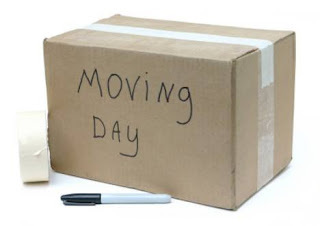 You also need to book the removals firm in advance as much as possible. In this way, you would be able to plan your packing and also prepare for any requirements as early as possible such as parking licenses. The latter is a special concern if you are living in the city where parking is problematic. Lastly, a good suggestion would be to check different removals company and compare their price quotes. A dependable company would not break valuables whereas the cheapest company would end up breaking them. Is the move covered by insurance? You need to check the presence of insurance just in case something gets damaged or broken. The key to stress-free moving is hiring a professional and reliable removals company. A person who doesn't have the time to pack for himself would just need to choose the right company and everything will be handled professionally. Another thing you should also consider if you're moving to another state is that your moving company has experience moving into your new state. This way you they can recommend dates or times where the traffic jams on the highway aren't so bad, and they are also familiar with the place you'll be moving to. Some higher ranked employees can also look into having their offices arrange a move for them, as some companies include this when offering a person a job which requires him or her to move. But the most important thing you should remember when you're moving to take away your stress is to plan everything properly. Don't ever rush yourself because a hurried move almost always results in not just stress, but in disaster. So make sure to allot time to plan you move where you feel you'll be able to make things work at your own pace. This way, you free yourself from most of the hassles of moving.